Please install the Adobe Flash Player here. 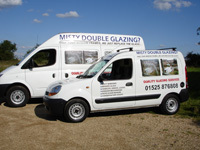 Please click here for a list of double glazing repairs. Please click here for a gallery of before and after photos. Our unique service means that we can repair your misty, foggy, steamy, cloudy, hazy or condensated double glazing without replacing your window frames. Because we replace just the glass unit the repair is a fraction of the cost of a complete replacement window. This includes Patio Doors, Conservatories and Velux windows. 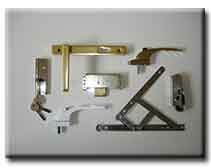 We only fit British Standard approved sealed glass units which are Kite marked and manufactured to the highest quality. 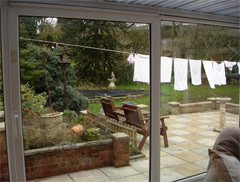 Would you like the latest double glazing without the expense of new windows? We can upgrade your existing windows to Pilkington ‘K’ energy saving double glazing without replacing your window frames. Or we can transform the look of your house by changing the plain glass to leaded light or white Georgian bars without replacing your window frames. Or for a touch of class coloured decorative leaded light units made to any design. 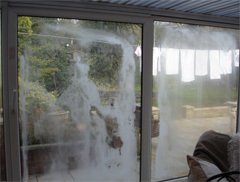 We have over 32 years experience in repairing windows and all of our work is carried out to the highest standard including cleaning of new glass and disposal of old. Clean dust sheets always used and overshoe protectors worn when wet.